The NSS programme in our college aims to inculcate social welfare in students, and to provide service to society without bias. NSS volunteers work to ensure that everyone who is needy gets help to enhance their standard of living and lead a life of dignity. In doing so, volunteers learn from people in villages how to lead a good life despite a scarcity of resources. it also provides help in natural and man-made disasters by providing food,clothing and first aid to the disaster victims. Our college has an NSS unit with 100 volunteers. 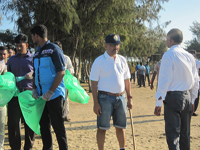 The unit regularly involves in the social service activities like Blood donation camp, coastal cleaning camp, assisting the district administration during the needing periods. 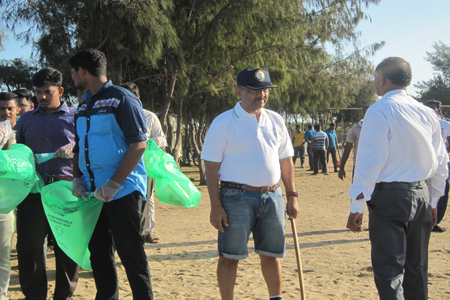 On 17.9.2016, a coastal cleanup camp has been conducted in Pamban Coastal area. 50 student volunteers participated in the camp and plastic wastes in the coastal area has been removed and dispatched with the help of local administration staffs. 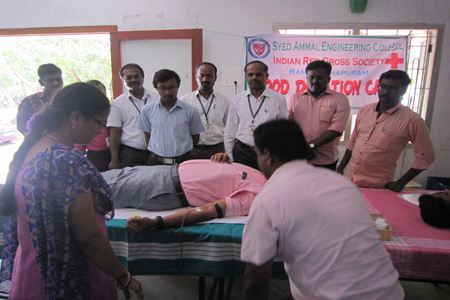 On 7.10.2016, a blood donation camp has been conducted in our college camp with the assistance of a medical team from Govt. Rajaji Hospital Madurai. 101 volunteers participated in the camp. On 22.10.2016, 200 student volunteers of our college enrolled their name in National Disaster Rescue Volunteers Team. 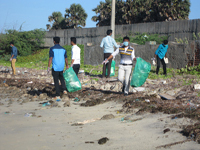 The list has been submitted to the Inspector of Police, Coastal Police Station, Devipattinam. The Youth Red Cross is a voluntary humanitarian organization to protect human life and health based in India. It is part of the International Red Cross and Red Crescent Movement, and so shares the Fundamental Principles of the International Red Cross and Red Crescent Movement. The society's mission is providing relief in times of disasters/emergencies and promoting health & care of vulnerable people and communities. It has a network of over 700 branches throughout India. The Society uses the Red Cross as an emblem in common with other international Red Cross societies. Volunteering has been at the very heart of the Indian Red Cross Society since its inception in 1920, with the Society having Youth and Junior volunteering programmes. The Society is closely associated with the St John Ambulance in India. Our college YRC Club comes under the YRC Cell of Anna University, Chennai The YRC club regularly arranges Blood donation camps in association with Dr.E.M. Abdullah Blood Donors’ Club. Also, the volunteers donate Blood to the needy people under emergency situations in and around the Ramanathapuram district and they donate the cloths and other necessary materials during the vacation timings to the orphanages. 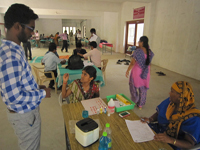 The RRC arranges the awareness programmes on HIV-AIDS every year with the Collaboration of YRC and NSS. The main objective of the Literary Fine Arts Club is to encourage the students in various literary and fine arts activities. The literary club has initiated various competitions like extemporal, essay writing, creative writing, poetry writing, debate, elocution, skit, quiz and reading to enhance the speech and oratorical skills of a student. The mission of the club is to educate students to improve their imagination skills in extra- curricular activities. The club enhances the students to develop their leadership qualities. It develops the skills essential for professional competence by means of enjoyable way. The club incorporates the students with their studies with social and cultural growth and inspires to make maximum contributions to their interesting field. 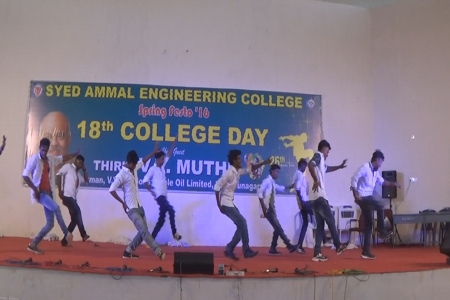 The students are encouraged to participate in inter departmental competitions organized by the college. They are also motivated to participate in literary and fine arts competitions conducted in other institutions. The club promotes inter personal and intra personal skills. 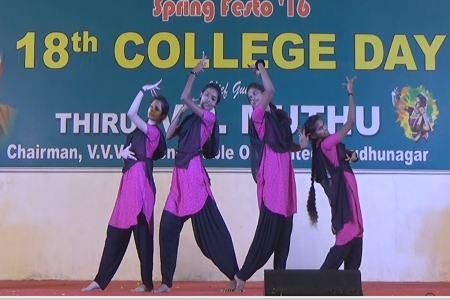 Every year the students are participating in cultural activities in our college day function with full of passion and involvement and show their extra ordinary talents. Rotaract clubs bring together people ages 18-30 to exchange ideas with leaders in the community, develop leadership and professional skills, and have fun through service. It is the global movement of young leaders who are developing innovative solutions to the world’s most pressing challenges. In communities worldwide, Rotary and Rotaract members work side by side to take action through service. From big cities to rural villages, Rotaract is changing communities like yours. The Rotaract Club of our college was started in the year 2004 with the membership strength of 60. Every year, the Rotaract Club organizes motivational programmes and personality development programmes for the students to improve their leadership skills. Exponential growth of human population coupled with ways to attain high standards of living through technological advancement has resulted in widespread contamination of the environment at the global level. Rapid Industrialization, over exploitation of natural resources and excessive use of environmentally abhorrent materials have resulted environmental disruptions threatening the life support system. The objective of environmental protection cannot be achieved without involvement of the masses at the grass root level. ENVIRONMENT CLUB of SAEC is created to make our students environment conscious make everyone educated as environment oriented. The member of Environment club of SAEC is taking part in various activities such as preserving trees and plants in college campus. In India most of the power generation option is depends on fossil fuel. Fortunately India is blessed with numerous new and renewable option like Solar energy, Wind energy, Ocean energy, biomass etc..to meet out the gap between energy generation and demand. It is required to fulfill the thrust of implementation of renewable energy, the role of government and self financing engineering college is inevitable. Our Syed Ammal Engineering College is one of the premier institution located in southern part of Tamilnadu also take part on creating awareness over renewable energy to in order to create awareness about New & Renewable Sources of Energy, it’s various systems and devices among the Engineering College Student community involve them to develop different option to harness energy from renewable energy. Renewable Energy Club (REC) was formed on 20 August 2004 under the able guidance of Dr. Chinnadurai Abdullah (Correspondent) and Prof. Mohamed Sahabudeen (Principal) SAEC to celebrate Rajiv Gandhi renewable energy day with 120 student members with 20 staff members and faculty of all the departments in Syed Ammal Engineering College. 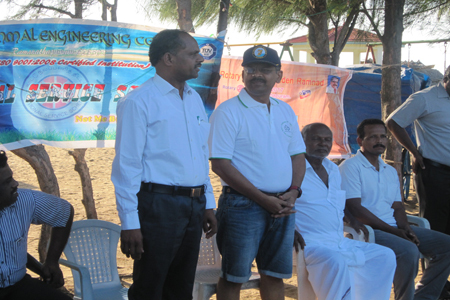 Tamil Nadu Energy Development Agency (TEDA) sponsored for programmes conducted under this club during the year 2004 to 2006. To create awareness about Renewable Energy Sources among students and staff and inculcate the habit of energy conservation among all. To increase interest in the Renewable Energy Industry including wind, solar photovoltaic, solar thermal, hydro, geothermal, energy efficiency and sustainability. To provide opportunities to enjoy and learn about Renewable Energy by organizing trips to various Renewable Energy locations and conventions. To promote cordial relations among students, educators, and employers. To create professionals with teamwork skills and multidisciplinary approach. To foster good fellowship among members. The following activities are carrying out in each year on the eve of renewable energy day on 20th august every year. Seminars, workshops, lectures, quiz competitions, slogan competitions, poster and Essay competitions on Renewable Energy may being conducted for our students as well as for other college students also. With a view to encourage students to participate in these competitions etc. token cash prizes may also be given to winning students from within the total budget allocation of Rs. 15,000/-. fund is raised from renewable energy club members or state nodal agency for new and renewable energy(Tamil Nadu energy agency). Morgans Math Club was inaugurated by the famous Engineering Mathematics Book writer Professor T.Veerarajan in the presence of our beloved Correspondent Dr. Chinnadurai Abdullah and the then Principal Dr.N. Mohamed Sheriff on 11th August 2007 with fifty student members and 9 Faculty members with the motto "WE EVEREST NOT EVER REST". Morgan’s Math Club is renamed as Ramanujan-Morgan Math Club(RMMC) in the year 2012 during Sri Ramanujan 125th birth anniversary on 22nd December . Now RMMC conducts the Mathematical events in the evenings for all participants with the help of the member organizers having 5 teams named after the great Mathematicians as follows :Fourier Series, Laurent Series, Maclaurin Series, Taylor Series and Cauchy Series.